If it’s been a while since you’ve registered for a Natureworks class, we hope you’ll like the format of our 2015 Spring offerings. This year we have created 2 full informational and fun filled classes. First we’ll have Design Day on Feb. 28th followed by Grow Day on March 14th. They are both on a Saturday at the Zion Episcopal Church Hall 326 Notch Hill Rd. in North Branford, CT.
We are putting a new spin on the registration process as well. You are able to register for classes online or by fax or email. Early registration discounts are offered, please refer to the dates on the flyers. 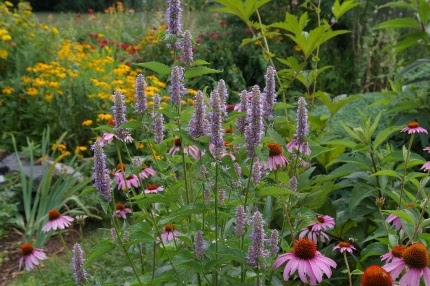 Join Nancy DuBrule-Clemente, Diane St. John, and many others on the Natureworks staff for a day filled with workshops on basic design principles, color, succession of bloom, easy care plants, and more! Buying plants is fun. Once you get them home, your garden can turn into a collection, or worse, a mess over time! Learn how to plan your garden so that you have color every month of the growing season and how to properly space your plants at a young age. Using the small garden as an example, Nancy will explain the basic design principles that everyone should know before they invest heavily in plants for their garden. Already got plants? This workshop will help you figure out how to remedy basic design problems. 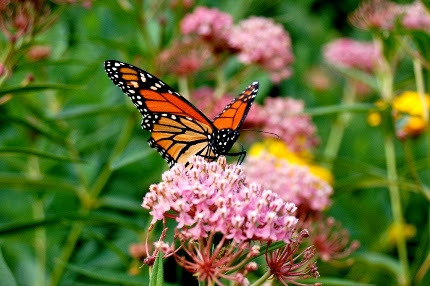 Learn how to create a very low maintenance garden of native plants that will make the pollinators, birds, and butterflies happy. Start with smothering, then some planting, then watch the reseeding magic happen! Diane St. John joins Nancy for a very interesting approach to creating an amazing garden. I asked all my Natureworks employees to tell me their favorite plant and explain why. This list will surely surprise you AND teach you about what makes a plant a keeper for serious garden lovers. Many years ago, Rebecca (Nancy’s landscape design assistant) built a house and had Nancy do a plan based on her criteria at the time. NOW, reality has set in. Learn how a busy mom with two teenagers living in a neighborhood filled with deer is going to redo her garden this spring to match her NEW criteria. This class will help you to think hard about what YOU really want in your landscape and be practical about the gardens that you create. When you first start getting interested in gardening, you are drawn like a magnet to color in any form. The longer you garden, the more you realize that evergreens, shrubs, and good foliage plants form the bones of the landscape. Learn how to analyze your property and build strong bones using interesting, low maintenance plants. We will finish up the day with a delightful workshop exploring how to marry plants together to create effective combinations. The focus will be on color and what various color combinations do to the mood and feeling of your garden. You will be amazed to see what color can do! Click here for the printable version of the full Design Day flyer. Click here for the printable version of the full Grow Day flyer.